Baronin Zerstorer (Baroness Destroyer) is the leader of the “4th Reich”, a semi-clandestine international organization bent on restoring the Nazi regime. 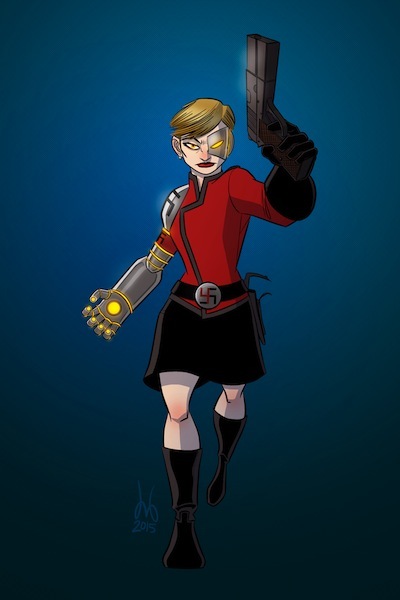 In her desire for power, she voluntarily sacrificed her body to the cause by replacing her arm and part of her face with cybernetic implants. Her arm makes her immensely strong, and is capable of electrical discharges of great power. She is a long time enemy of Lady Fairplay, WonderMan, and the Wraith.